Wow what an amazing few days with the students of Auckland Seventh Day Adventist. 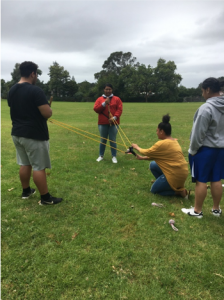 Stars is a 12-month mentoring programme that supports, motivates and positively reinforces Year 9 students during that tricky transition into secondary school, through training and supporting senior students to mentor and walk alongside the new Year 9’s. Kayaking, Rock Climbing and Mudslide just to name a few of the activities but check this awesome video showcasing what the students got up to. Feedback from a couple of the students. A huge thank you to Sanitarium for their ongoing support of our Stars Programme at ASDAH. Share the post "Our Stars adventure"